Alex D.D. 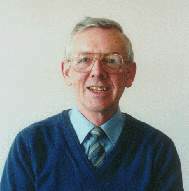 Craik retired in October 2003 and is now an emeritus professor. Alex Craik has two main areas of research: fluid mechanics, and the history of mathematics and its applications. His long-standing research interests in fluid mechanics mainly concern wave motion and hydrodynamic stability theory. He has written a monograph 'Wave Interactions and Fluid Flows' (Cambridge University Press, 1985) and numerous research papers, some of which are listed below. Most of his current research is on the history of mathematics and mathematicians. His publications in this area focus mainly on the late 18th and early 19th centuries. Several of these relate to Scottish-born or Scottish-based mathematicians. In 2007, he published the book ‘Mr Hopkins’ Men: Cambridge reform and British mathematics in the 19th century’, Springer, hardback £65, softback £25 (see below). 'Wave Interactions and Fluid Flows'. Cambridge University Press series on Mechanics and Applied Mathematics. 322pp. 1985 (hardback), 1988 (paperback). ‘ Mr Hopkins’ Men: Cambridge reform and British mathematics in the 19th century’. Springer, London etc. 405pp. 2007 (hardback), 2008 (flexicover). 42. 'Blow-up in non-conservative second-harmonic resonance.' (with S.R. McDougall). Wave Motion 13, (1991), 155-165. 43. 'The stability of elliptical flows, unbounded and bounded.' In 'Nonlinear Dynamics of Structures', pp.289-293, eds. R.Z. Sagdeev, U. Frisch, S.S. Moiseev & N. Erokhin. (Proc. Internat. Symp. on Generation of Large-scale Structures in Continuous Media, Perm-Moscow, June 1990). (1991) World Scientific Publ. Co. Singapore. 44. 'The continuous spectrum of the Orr-Sommerfeld equation: note on a paper of Grosch & Salwen.' J. Fluid Mech. (1991) 226, 565-571. 45. 'Second-harmonic resonance in non-conservative systems' (with M. Nagata & I.M. Moroz). Wave Motion (1992) 15, 173-183. 46. 'The stability of three-dimensional time-periodic flows with spatially uniform strain rates.' (with H.R. Allen). J. Fluid Mech. (1992) 234, 613-627. 47. 'Faraday excitation, hysteresis and wave instability in a narrow rectangular tank.' (with J.G.M. Armitage). Fluid Dyn. Research (1995) 15, 129-143. 48. 'Time-dependent solutions of the Navier-Stokes equations with spatially-uniform velocity gradients.' Proc. Roy. Soc. Edin. ser. A. (1994) 124A, 127-136. 49. 'The stability of some three-dimensional and time-dependent flows'. In Proc. IUTAM Symp. 'Nonlinear Instability of Nonparallel Flows', Potsdam, NY. July 1993; ed. S.P.Lin & W. Phillips. Springer (1994). 50. 'Hysteresis and interaction of standing waves with Faraday excitation' (with J.G.M. Armitage). pp.117-128 of Proc. Colloque "Modelisation Asymptotique en Mechanique des Fluides" en l'honneur de J.P. Guiraud, Paris 1994. Springer 1995. 51. 'Nonlinear interaction of standing waves with Faraday excitation'. Unpublished internal report 1994. 52. 'Hysteresis in Faraday resonance' (with S.P. Decent) J. Fluid Mech. (1994) 293, 237-268. 1994. 53. 'Stability of two- and three-dimensional flows with locally-uniform strain rates'. 53-58 of Proc. IUTAM Symp. on Laminar-Turbulent Transition, Sendai, Japan, 1994, ed. R. Kobayashi. Springer (1995). 54. 'The stability of three-dimensional time-periodic flows with ellipsoidal stream-surfaces' (with G.K. Forster) J. Fluid Mech. (1996) 324, 379-391. 55. 'On limit cycles arising from the parametric excitation of standing waves' (with S.P. Decent), Wave Motion (1997) 25, 275-294. 57. 'Sideband instability and modulations of Faraday waves' (with S.P. Decent) Wave Motion, 30, 43-55 (1999). 58. 'Nonlinear interaction of standing waves with Faraday excitation', in Nonlinear Instability, Chaos and Turbulence, eds. D.N. Riahi & L. Debnath, pp.91-128. Computational Mechanics Publ. WIT Press, Southampton UK (1998). 59. 'The stability of non-axisymmetric time-periodic vortical flows' (with G.K. Forster) Fluid Dyn. Res. 25, 19-36 (1999). 60. 'Hysteresis, limit cycles and mode interactions of standing waves with Faraday excitation', in Proc. RIMS Symposium on Pattern Formation in Wave Phenomena (Kyoto, Sept. 1997). 61. 'On the structure of phase grain boundaries in thermal convection', In Proc. 3rd Internat. Conf. Hydrodynamics, Seoul, Korea, Oct. 1998 (eds. H. Kim, S.H. Lee & S.J. Lee), Seoul: Ulam Publ., pp. 1061-1064. 62. 'Transitions between roll patterns in thermal convection', Fluid Dyn. Res. 26, 305-323 (2000). 63. 'Second-harmonic resonance with parametric excitation: degenerate "bouncing" solutions', in Proc. RIMS Symposium on Mathematical Aspects of Waves with Strong Nonlinearity or Large Degrees of Freedom (Kyoto, Oct. 1998) 1999. 64. 'On the generation of spatially-periodic longitudinal vortices in shear flows', In Proc. RIMS Symposium on Coherent Vortical Structures in Turbulence Dynamics. (Kyoto, Jan. 1999), 2000. 65. 'Second-harmonic resonance with parametric forcing and detuning' (with H. Okamoto & H. Allen): in 'Fluid Mechanics and the Environment': Symposium in Honor of Sidney Leibovich, Cornell NY , ed. J.L. Lumley. pp. 63-89, Springer 2001. 66. 'A model for subharmonic resonance within wavepackets in unstable boundary layers'. J. Fluid Mech. 432, 409-418 (2001). 67. 'Instability of two-dimensional standing Faraday waves' In Proc. IUTAM Symp. on Free Surface Flows (Birmingham, July 2000), ed. A.C. King & Y.D. Shikhmurzaev, pp.71-80. Dordrecht, Boston, London: Kluwer 2001. 68. 'A three-dimensional autonomous system with unbounded 'bending' solutions' (with H. Okamoto) Physica D 164, 168-186 (2002). 69. 'Nonlinear oscillations in three-armed tubes' (with K. Hirata). Euro. Jour. of Mechanics - B/Fluids 22, 3-26 (2003). 70. 'On the development of singularities in linear dispersive systems'. J. Fluid Mech. 538, 137-151 (2005). 71. 'Exact vortex solutions of the Navier-Stokes equations with axisymmetric strain and suction or injection'. J.Fluid Mech. 626, 291-306 (2009). 72. 'A four-leaf chaotic attractor of a three-dimensional dynamical system'. (with T. Miyaji and H. Okamoto). In preparation. H2. 'Calculus and analysis in early 19th century Britain: the work of William Wallace'. Historia Mathematica 26, 239-267 (1999). H3. 'Geometry versus analysis in early 19th century Scotland: William Wallace, John Leslie and Thomas Carlyle'. Historia Mathematica , 27, 133-163 ( 2000). H4. ‘James Ivory, mathematician: “the most unlucky person that ever existed”’. Notes & Records of the Royal Society, 54, 223-247 (2000). H5. ‘James Ivory’s last papers on the ‘Figure of the Earth’ (with biographical additions.)’. Notes & Records of the Royal Society 56, 187-204 (2002). H6. ‘G.G. Stokes and his precursors on water wave theory’. (Newton Institute seminar, August 2001). In IMA Conference Proceedings, ‘Wind over Waves’ pp. 3-22, ed. Sajjadi & Hunt, (Cambridge: June 2003). H7. ‘Edward Sang (1805-1890): calculator extraordinary’. British Soc. for the History of Mathematics Newsletter 45, 32-45 (Spring 2002): special number of Newsletter in memory of J.G. Fauvel. H8. ‘The logarithmic tables of Edward Sang and his daughters’. Historia Mathematica, 30, 47-84 (2003). H9. (With Gloria Edwards), ‘In search of Thomas Knight’. Bulletin Brit. Soc. Hist. Math. 2, 17-27 (2004). H10. ‘The origins of water wave theory’. Ann. Rev. Fluid Mech. 36, 1-28 (2004). H11. ‘George Gabriel Stokes on water wave theory’. Ann. Rev. Fluid Mech. 37, 23-42 (2005). H12. ‘Prehistory of Faà di Bruno’s formula’. American Mathematical Monthly 112, 119-130 (2005). H13. ‘Arthur Mee’s Children’s Encyclopaedia revisited’. Bull. British Soc. Hist. Math. 21, 122-126 (2006). H14. ‘Science and technology in 19th century Japan: The Scottish connection’ Fluid Dyn. Res. 39, 24-48 (2007). H15. Book Chapter: ‘Educating William: Belfast, Glasgow and Cambridge’. In ‘Kelvin: Life, Labours and Legacy’, eds. R. Flood, M. McCartney, A. Whitaker. Oxford University Press 2008. H16. Book chapter: ‘Victorian “applied mathematics”’. In ‘Mathematics in Victorian Britain’, eds. R. Wilson, A. Rice & R. Flood, Oxford University Press, 2011. H17. (With Tony Mann), book chapter: ‘Scotland: land of opportunity but few rewards’ (provisional title). In ‘Mathematics in Victorian Britain’, eds. R. Wilson, A. Rice & R. Flood, Oxford University Press, 2011. H18. ‘A Proportional View: the Mathematics of James Glenie (1750-1817)’. Historia Mathematica 36, 247-272 (2009). H19. ‘Historical Note: Glenie’s Problem and Fermagoric Triangles’. Mathematics Today, April 2009, 53-55 (Institute of Mathematics & its Applications). H20. (With Alonso D. Roberts): ‘Mathematics teaching, teachers and students at St Andrews University, 1765-1858’. History of Universities 24: 207-279, Oxford Univ. Press (2009). H21.‘William Wallace’s chorograph (1839): a rare mathematical instrument’. BSHM Bulletin: J. Brit. Soc. Hist. Math. 25: 1, 23-31. (2010). H22. ‘Thomas Young on fluid mechanics’. Journal of Engineering Mathematics 67: 95-113. (2010). H24. ‘A forgotten British analyst: Nicolas Vilant (1737-1807)’. Historia Mathematica 39: 174-205 (2012). H25. ‘The Popular lectures and addresses of William Thomson, Baron Kelvin of Largs (1824-1907)’. BSHM Bulletin: J. Brit. Soc. Hist. Math. 27: 1, 50-55 (2012). H26. ‘Lord Kelvin on fluid mechanics’. Eur. Phys. J.: History. 37: 75-114 (2012). H27. ‘“Continuity and change”: representing mass conservation in fluid mechanics.’ Arch. Hist. Exact Sci. 67: 1, 43-80 (2013). H28. ‘The ‘Mathematical Essays’ of William Spence (1777-1815)’. Historia Mathematica 40: 4, 386-422 (2013). H29. ‘In search of Thomas Knight: Part 2’. BSHM Bulletin: J. Brit. Soc. Hist. Math. 28: 3, 124-131. (2013). Andrew Warwick: Masters of Theory: Cambridge and the Rise of Mathematical Physics, 572pp., The University of Chicago Press, 2003. In Bull. British Soc. Hist. Math. No.1 (Spring 2004), 54-57. Robert N. Smart: Biographical Register of the University of St Andrews 1747-1897. University of St Andrews Library Publications, 1007pp., 2004. In Bull. British Soc. Hist. Math. No.5 (summer 2005), 42-45. Olivier Darrigol: Worlds of Flow: a history of hydrodynamics from the Bernoullis to Prandtl, 356pp. Oxford University Press, 2005. In London Math. Soc. Newsletter, No.350, July 2006. Paul C. Pasles: Benjamin Franklin’s Numbers; an Unsung Mathematical Odyssey. In London Math. Soc. Newsletter, No.368, March 2008. Fukagawa Hidetoshi & Tony Rothman: Sacred Mathematics: Japanese Temple Geometry, Princeton University Press, 2008. In London Math. Soc. Newsletter, No.372, July 2008. Julián Simón Calero: The Genesis of Fluid Mechanics 1640-1780. Springer, 2008. In J. Fluid Mech. vol. 619, 377-379 (2009). Walter William Rouse Ball, A History of the Study of Mathematics at Cambridge. 1st edn. 1889, facsimile paperback reprint 2009, Cambridge University Press. In London Math. Soc. Newsletter, (2010). ‘Edward Sang’ for Oxford Dictionary of National Biography (2004). ‘John Leslie’, ‘James Ivory’, ‘Augustus E.H. Love’, ‘Harold Lamb’, for Dictionary of 19th Century Mathematicians (ed. Joan Richards), Thoemmes Press (2004). ‘Perfectly Proportioned: Luca Pacioli, Divina Proportione 1509.’ In Treasures of St Andrews University Library, ed. N. H. Reid et al. 2010, pp. 40-41. St Andrews University and Third Millennium, London. Several articles in St Andrews History of Mathematics Website, and some other short pieces in the Newsletter and Bulletin of the British Society for the History of Mathematics.